My HOV Access Stickers have worn off of my car. They are barely visible now and I want to avoid getting pulled over in the HOV lane. How can I get replacement HOV stickers? I wasn't able to find a way to get them online, I'm fearful of spending a day at the DMV, and if I submit the application by mail, I'm worried I'll fill something out incorrectly. I'd appreciate any help. Also, I'll be buying a new car soon, one that is also low emission. I need to know if getting new HOV stickers is a whole different process. Thanks a bunch! Clean Air Vehicle Decal requests are handled by mail only, but ensuring your application is completed properly guarantees you get your new or replacement HOV stickers faster. Unlike other DMV vehicle registration transactions, getting a HOV access lane decal (also known as Clean Air Vehicle sticker), either for the first time or as a replacement, can not be performed at a local DMV field office (nor online, unfortunately). DMV field branches do not carry HOV inventory. To obtain new or replacement Clean Air Vehicle stickers, you must submit an application (plus fee) by mail. The transaction will be handled by the DMV Special Processing Unit, and usually within 30 days of application receipt. Below we explain how to properly complete the REG 1000 to ensure it is accepted by the California Department of Motor Vehicles. The REG 1000 has three sections which need to be completed. We provide a sample REG 1000 for you to view below. In this section of the REG 1000 you will be writing in the name and address of the vehicle's current registered owner(s), as well as providing your vehicle's basic information, including its purchase date. 1(a). 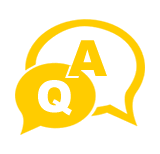 On line one (1) of the REG 1000 write-in your vehicle's purchase date, license plate number, VIN (Vehicle Identification Number), year, make, and model. Ensure this information is accurate. Double check what you write or type-in, especially the 17 digit VIN. Your application can not be accepted if incorrect. 1(b). Below your vehicle's information write-in the current registered owner(s) information, including correct physical address, and mailing address (if applicable). Note, the name(s) on the clean air decal application must match the name(s) of the registered owner(s). For example, a person may not apply for HOV stickers for a vehicle registered in their relative's name, nor may they apply for decals on behalf of someone else. Only the vehicle's true and current registered owner(s) may apply for a HOV decal, to be affixed on the vehicle which the application is submitted for. The California DMV Fraud Investigations Unit is especially particular when it comes to HOV sticker fraud. The California Highway Patrol doesn't take it lightly either. In this section of the REG 1000 you will be simply check marking your reason for requesting a Clean Air Vehicle decal, and also letting the DMV know the type of emissions category your vehicle falls under. 2(a). Place a check mark next to the reason for your application. You may place a check mark in more than one box. For example if you're applying for both a replacement Clean Air Vehicle ID Card and decal, mark both appropriate boxes. If your vehicle was ever issued a decal in the past, ensure to write-in the previous decal's number. Clean Air Vehicle stickers are serialized DMV inventory. 2(b). Place a check mark next to your vehicle's Exhaust Standard. If you are unsure of your vehicle's exhaust standard type (e.g. ZEV, AT PZEV, etc. ), please visit the ARB website or call 1-800-242-4450. 2(c). Place a check mark next to your vehicle's motive power. If you are unsure of the motive power, please visit the ARB website or call 1-800-242-4450. Currently, the most common motive powers are electric and plug-in hybrid. If your vehicle has had a change in motive power, e.g. you converted a gasoline powered vehicle to electric, please ensure to include your ARB Certificate Letter along with your REG 1000. Section 3 of the REG 1000 is your declaration under the penalty of perjury under the laws of the State of California that the information you have provided is true and correct. Ensure that all required information is entered and that your entries are legible. As noted, neither the California Department of Motor Vehicles nor the California Highway Patrol take HOV sticker misuse or application fraud lightly. 3(a). Print your true full name. Follow this sequence... first name, middle name, and last name. Include your daytime phone number as well. Next, sign and date the Clean Air Vehicle application. Electronic signatures are not acceptable. If using Adobe or a PDF writer to complete the document, print it out and sign it. Mail your completed application to the address indicated on the top center of the REG 1000, along with your payment made out to the CA Department of Motor Vehicles. Allow at least 30 days for receipt and processing of your application. Call the DMV at (800) 777-0133 if you do not receive your new or replacement HOV stickers and ID Card after 30 days. What do the different HOV sticker colors mean; Red, White, Green? If you noticed, we didn't mention the yellow sticker above because this sticker was discontinued on July 1st, 2011. The yellow sticker was issued to early model hybrid vehicles and has since been invalidated. 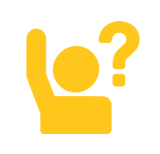 If you own a vehicle with a yellow HOV decal, do not drive in a high-occupancy vehicle lane unless you meet the minimum vehicle occupancy level. You may be stopped and cited. We should also mention, like the yellow HOV sticker, the white and green HOV stickers will be discontinued on Jan 1st, 2109 as well. The new sticker colors have not yet been announced, but vehicle eligibility requirements for the new decals will be similar to those used for the current white and green decal programs. There will be income requirements and other details regarding the new California Clean Air Decal program which will be released at a later date. If you obtained a white or green Clean Air Decal in 2017 or 2018, your decals will be valid through the end of 2018. You will be eligible and required to apply for the new CA Clean Air Vehicle Sticker program in 2019. Let's look at sample HOV decals below and understand their meaning. Vehicles powered by liquefied petroleum gas (LPG) or compressed natural gas (CNG) may also qualify. Please visit arb.ca.gov for updated vehicle qualification list. The Red Clean Air Decal has the same income eligibility requirements that are required for the green HOV and white HOV decals. White CAV decals are issued according to the criteria below. In simple terms however, the white sticker is issued to "zero-emission vehicles". These include battery-electric and hydrogen fuel-cell powered vehicles. Vehicles which meets California's super ultra-low emission vehicle (SULEV) standard for exhaust emissions and the federal inherently low-emission vehicle (ILEV) evaporative emission standard. These include certain zero-emission vehicles (ZEVs). These are vehicles which meet certified pure zero emissions (100% battery electric and hydrogen fuel cell). Also note, liquefied petroleum gas (LPG) and compressed natural gas (CNG) fueled vehicles may also qualify for white CAV decals. A 2004 model-year or older vehicle that meets the California ultra-low emission vehicle (ULEV) standard for exhaust emissions and the federal ILEV standard. UPDATE: White Clean Air Vehicle Decals are no longer being issued, but are valid until January 1, 2019 (per AB 266). White HOV decals were issued to an unlimited number of qualifying Federal Inherently Low Emission Vehicles (ILEVs). Vehicles that met these requirements were typically certified zero emission vehicles, meaning they were powered by 100% battery electric, hydrogen fuel cell electric, or clean compressed natural gas (CNG). Green CAV decals are issued to vehicles that meet California’s Enhanced Advanced Technology Partial Zero-Emissions (Enhanced AT PZEV) or Transitional Zero-Emission (TZEV) standards. In simple terms, vehicles that meet these requirements are usually plug-in Hybrids. Green stickers are for those cars that can operate partially in zero-emission mode, but also have combustion engines, i.e. electric-gas hybrids. Green Clean Air Vehicle Decals are are no longer being issued, but are valid until January 1, 2019 (per AB 266). These stickers were issued to an unlimited number of qualifying plug-in hybrid vehicles certified to California's Transitional Zero Emission Vehicles (TZEV) or Enhanced Advanced Technology Partial Zero Emission Vehicle (AT PZEV) standards and meeting minimum all-electric range requirements. The Hybrid CAV decal program ended on July 1, 2011. Owners of hybrid CAV with yellow decals are no longer allowed to operate their vehicle in a HOV lane unless the minimum passenger requirements are met. These vehicles do not qualify for any current or future HOV decals. 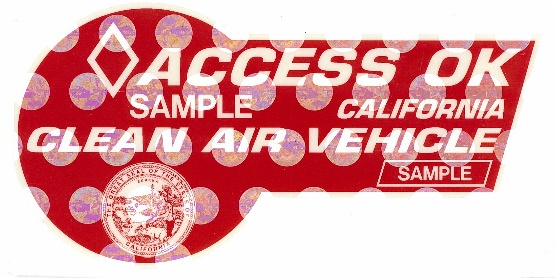 ALL Clean Air Vehicle Decal Expiration Dates: Original decals (first-time application) which are issued after January 1st, 2019 will have a three year expiration date, plus the partial year from when the decal was issued; effectively invalidating the decal on December 31st of the expiration year. Decals which have been reissued to applicants whose original stickers were issued in 2017 and 2018, will have the new expiration date of January 1, 2022. Note, all decals expire on September 30, 2025. All vehicles which are issued a green, white or red decal during the time period mentioned above, will qualify for the new Clean Air Vehicle decal.